“They’re killing our river. They’re not only taking our water, they’re poisoning and polluting it too.” - Outback Mick - Caretaker, Menindee Caravan Park. “When you destroy a river, you destroy all the people on it.” - Ross Files, Menindee resident, born in Menindee 1939. “It’s a rights violation of all lifeforms.” - Dr Beryl Carmichael - Ngiyeempaa Elder, born in Menindee over eighty years ago. "The Prime Minister must run a Federal Royal Commission, if he doesn't then the Darling River system will collapse and die, as will The Murray.” - Rob McBride - Wool grower at Tolarno Station, Lower Darling, near Menindee. Local communities are suffering, plants and animals are dying, and there are real concerns that one of our most important ecosystems, the Darling River, is dying. Governments and corporations aren’t responding urgently enough. The Citizens' Inquiry into the Health of the Darling River and Menindee Lakes is holding public hearings from 19-28 March in Mildura, Wentworth, Broken Hill, Menindee, Wilcannia, Bourke and Walgett, to give communities a fair, unbiased forum to share their stories and evidence about what's happening to the Darling River. People will also be able to make recommendations about what needs to happen to restore ecological and community wellbeing. The Citizens' Inquiry is an independent, non-government, citizen inquiry hosted by concerned citizens, including environmental and human rights lawyers and First Nations Elders who are volunteering their time to help Darling River communities seek justice. Our governments are meant to ensure the health, safety and wellbeing of all Australians – but all levels of government are failing to support the communities along the Darling River and we need to work together to help them. The Citizens' Inquiry into the Health of the Darling River and Menindee Lakes is inviting people to share their stories and testimony about what’s happening to the Darling River & Menindee Lakes. People can participate in two ways: (i) by submitting written or pre-recorded testimonies and/or (ii) by participating in public hearings in the towns of Mildura, Wentworth, Broken Hill, Menindee, Wilcannia, Bourke and Walgett. The Citizens’ Inquiry is made up of a Citizens' Inquiry Panel (see below) who will facilitate proceedings and collate all testimonies and evidence, to present a full report back to the community and also to all levels of government and relevant corporations. The funds raised will cover the costs of remote travel, food and accommodation for the members of the Citizens' Inquiry Panel to visit the Darling River communities. The funds raised will also be used to help people in the regions along the Darling River, travel to the public hearings in town centres. This will involve a number of busses that will ferry residents from distant towns to the hearings in major centres and then home again. The use of these busses will also have spinoff benefits to struggling local economies. No-one is being paid to work for the Tribunal. All participants are volunteers. $1,000 to assist with the technical costs of video-recording, live streaming, and editing video footage after the hearings so that the material can be widely shared. The Citizens' Inquiry into the Health of the Darling River is a special hearing of the Australian Peoples Tribunal for Community and Nature's Rights. 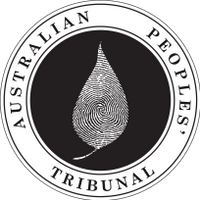 The Australian Peoples' Tribunal is an initiative of the Australian Earth Laws Alliance (AELA). Funds will be managed by AELA to support the Citizens' Inquiry and to support community members travelling to the Inquiry Hearings. Justice for the Darling River & Menindee Lakes – support our Citizens' Inquiry into the Health of the Darling River & Menindee Lakes and give local communities a powerful voice!